Jaeger-LeCoultre has helped to conquer a new himalayan peak. Swiss climber Stephane Schaffter, 19-time Everest veteran Apa Sherpa, and Little Karim an expert climber successfully climbed the challenging 6,589-meter peak. As a tribute to Jaeger-LeCoultre's involvement with the adventure, the mountain has been named "Antoine LeCoultre's Peak". Jaeger-LeCoultre watches were worn by all three of the climbers and gave a flawless performance. The timepieces selected to represent the house came from three different eras. The first a Jaeger-LeCoultre Geophysic Chronometer from 1958, a classic three-handed wristwatch with an anti-magnetic stainless steel case and luminous hour and minute hands. The second was the Jaeger-LeCoultre Master Compressor Extreme LAB timepiece, introduced in 2007. The third watch used during the ascent of Antoine LeCoultre's Peak has not yet been announced. In a Jaeger-LeCoultre press statement they reveal that it is new model in the final stages of development and will be revealed in January, at the 2010 SIHH industry exhibition in Geneva. Baselworld 2010 will be held from March 18 to March 25 at the Basel Exhibition Center in Switzerland. More than 2000 companies from the watch, jewelery and precious-stone industries will exhibit their latest innovations to the lucky attendees of Basel which over the years has grown to be over 100,000 visitors a year. The current planning status shows that BASELWORLD is established at the topmost level. Precisely in economically critical times, the World Watch and Jewellery Show is able to operate from a position of strength. An increasing number of exhibitors are concentrating their show participation exclusively on Basel. The event is open daily from 9 am to 6 pm. At this years Baselworld a one day pass to the event cost $55.00 US Dollars or 60.00 CHF, the 2010 price has not been announced yet. Every two years a weekly German business magazine called Wirtschaftswoche puts together an annual ranking of Germany's top luxury brands. This year, A. Lange & Sohne has once again risen above the rest to capture the top spot on this prestigious list as the best luxury brand in Germany, scoring 242 points out of a possible 300. 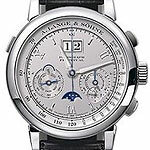 This is the second time in a row for A.lange and Sohne. It should be noted that to be the requirement to be considered for the list the company could be for any luxury item, not just for timepieces. Beating out other popular and highly recognizable brands including some impressive automobile makers - Maybach, Mercedes Benz, and Porsche. fashion designers, and other companies. Such factors as their high score for brand appeal pushed the A. Lange & Sohne brand to the top of the list after data was collected by interviewing more than 150 experts from the respective industries. Beginning in 2005, the luxury league table is drawn up every two years by the Munich based brand rating agency at the instigation of the Wirtschaftswoche magazine among the leading German luxury brands. Follow Finest Watches on Twitter! Finest Watches is now on Twitter, you can follow us at www.twitter.com/finestwatches - Get updates on our latest inventory, new releases, and other news from the world of luxury timepieces. If proof was needed that the watch market is still alive and kicking, this months Antiquorum auction should leave no doubt. One particularly amazing sale was that of the Mahatma Gandhi timepiece - That with his sandals, bowl and glasses sold for an unprecedented 2.1 million dollars. The auction had an impressive turn out, with over 500 online bidders as well as room and telephone bidders - The result was 75% of all lots sold at an average of 142% of their low estimate. I find this to be further proof of the inevitable turn around of the economy, and it is a shining example of the smart investments a timepiece collector can make. One only needs to look at the Antiquorum catalog to see which brands have withstood the test of time. Both vintage and current models from such brands as Patek Philippe, Rolex and Jaeger-LeCoultre have impressive value estimates that are sure to increase as the market rises. And while its not all good news for the watch world as some market values continue to slowly decline, it is a strong argument that collectors and investors need not fret - It is a matter of patience and timing, and frankly the time is now. As I mentioned in my previous article, this is a great time to invest in luxury timepieces. 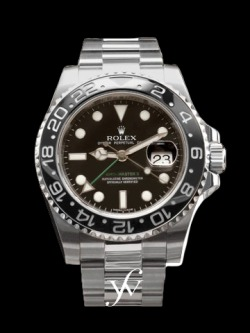 Please give us a call if you would like to find out more about starting or adding to your luxury watch collection. One phrase comes to mind – Our loss is your gain. As watch dealers from around the globe feel the effects of the worsening economy, the deals for the savvy buyer have become better and better. Unique pieces from such coveted brands as Patek Philippe and Audemars Piguet are becoming easier to purchase as market values have fallen over the last 6 months considerably, and dealers rush to unload their inventory. Watch dealers that relied on the fat of the market are failing and all around people are glum. But not you! You know that this is the time to invest! A lot of us have taken big hits with the current state of the economy, but all is not lost. The market will inevitably turn around, and smart investments now will make all the difference in how quickly you bounce back. That being said – not only is timepiece collecting a fun and fulfilling pastime, if done correctly, it can be quite the profitable past-time as well. 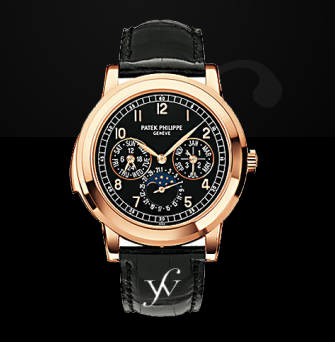 One of the greatest investments I’ve found in the world of collectible timepieces is the brand Patek Philippe. Patek Philippe celebrates its 170th anniversary this year, a lifetime that has seen several cycles of booming and waning economies. This is a brand that has held the interest of elite collectors with their limited production masterpieces such as the 5970 and the 5070. Likely, there is no better time to purchase Patek Philippe watches or other successful brands such as these. Dealers are ready to make a deal - and the values ready to rebound. While it might not be a get rich quick investment, it is undoubtedly a smart long term investment. 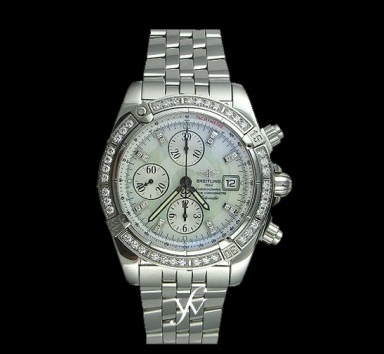 Please give us a call if you would like to find out more about starting or adding to your luxury watch collection. Baselworld 2009 will be held from March 26 to April 2 at the Basel Exhibition Center in Switzerland. More than 2000 companies from the watch, jewelery and precious-stone industries will exhibit their latest innovations to the lucky attendees of Basel which has grown to be over 100,000 visitors a year. 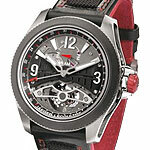 Some of the trends expected in the watch industry in 2009 are materials and techniques that are being mixed, merged, combined and varied. 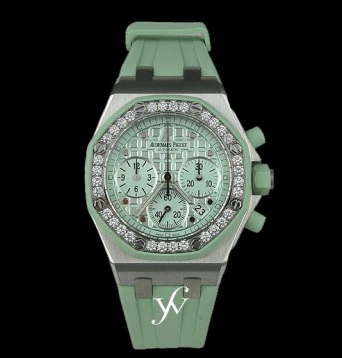 The big watches will be seen in an especially wide variety of materials and often minimalist-design dials. 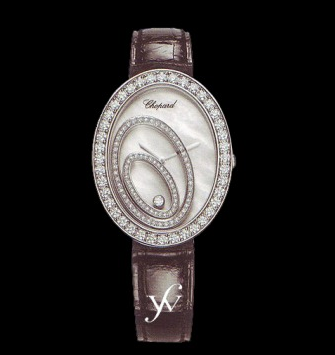 The watches will have predominantly round cases, often featuring square components, are both flat and elegant. The event is open daily from 9 am to 6 pm with the exception of the last day from 9 am to 4 pm. A one day pass to the event will set you back about $55.00 US Dollars or 60.00 CHF. Its that time of year again! The time of year we start hearing about what's set to be released at next years SIHH. Looks like Panerai will be introducing the Luminor Chrono Daylight 44mm in Titanium. The new PAM00327 will still be very recognizable as a Luminor but will introduce several new technical features. In addition to the hour and minute indication, the watch will now include a chronograph with date. The traditional steel case has been replaced with titanium, increasing the case hardness and durability while being extremely light. The new Luminor will have a grade 5 alloy which is hypo-allergenic and resistant to temperature and corrosion. 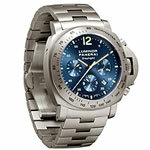 Particularly notable is the gorgeous blue dial, in place of the traditional black dial on the Luminor Chrono Daylight.